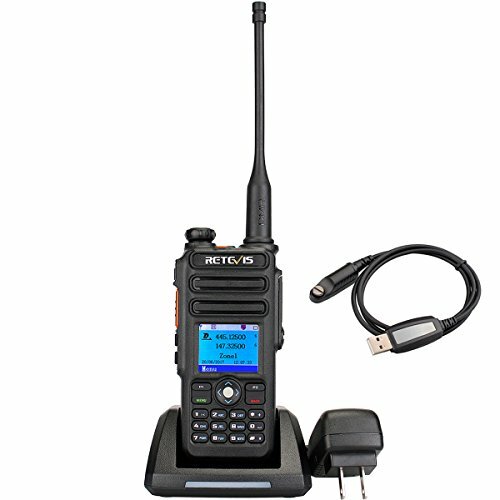 Retevis RT82 is dual band DMR ham amateur radio. Professional, user-friendly design and various practical functions make it very popular among profession hams,especially ham radio club members who have outsides activities. Give you more options to get into different DMR repeater system,especially when you need to pass through different states and countries. Frequency range:VHF 136-174MHZ/UHF400-480MHz,up to 3000 channel and 10000 contacts list; Support dual watch,standard encryption, text messages,remote kill/stun/activate,single/group/all call in digital mode.